It's big, it's fast, it's very comfortable and it's going to sell... 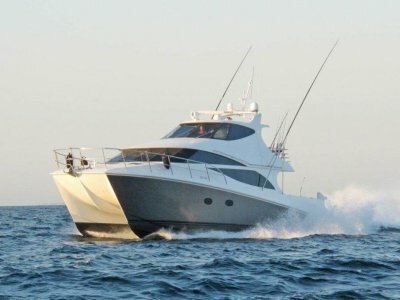 If you are looking for your dream boat with all these features then look no further. 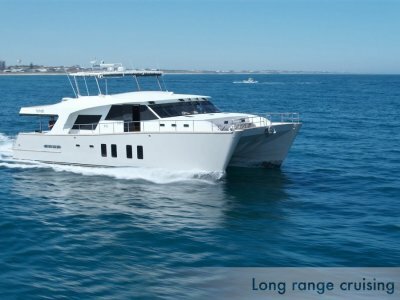 This 60ft catamaran is large enough to live on full time and fast enough to head out for a day trip to Whitehaven Beach and back. It is so versatile for a large boat but very easy to drive. 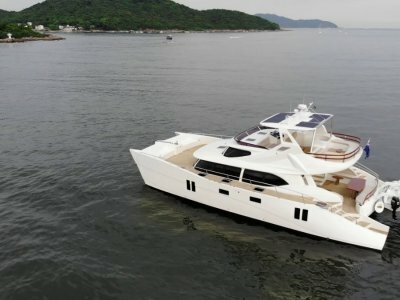 The vessel is very well set up as the boat was a custom design and includes a 2m factory extension to the cockpit to make entertaining even more pleasurable. 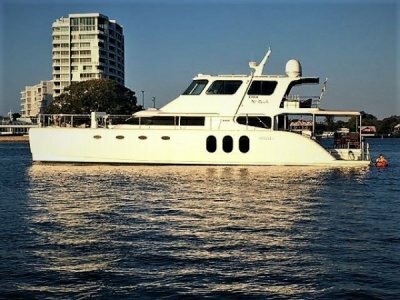 The flybridge is large enough to have a party for 40 guests or for the less social there's enough room for a large tender or two. The only Innovation 55 on the market with dual helm stations which gives you the freedom to choose what suits you best according to the weather. She' fully air conditioned with cork floors and granite kitchen benchtops making a durable and very comfortable living area. 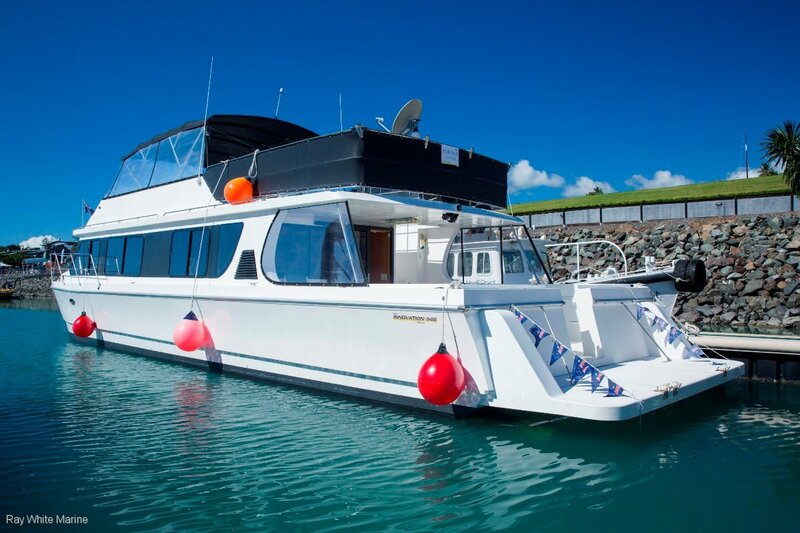 Satellite TV, full interior blinds, sofa bed, 3 bedrooms and 3 bathrooms make this vessel an absolute pleasure to use for quick getaways or extended tours. Builder- Innovation Catamarans, Coomera. Qld. Dinghy- 3.0 metre polycraft tender. Outboard- 9.8Hp 2 Stroke Tohatsu. Spacious and modern configuration, fully equipped for entertaining. Saloon seating for 6 and upper dining in flybridge.